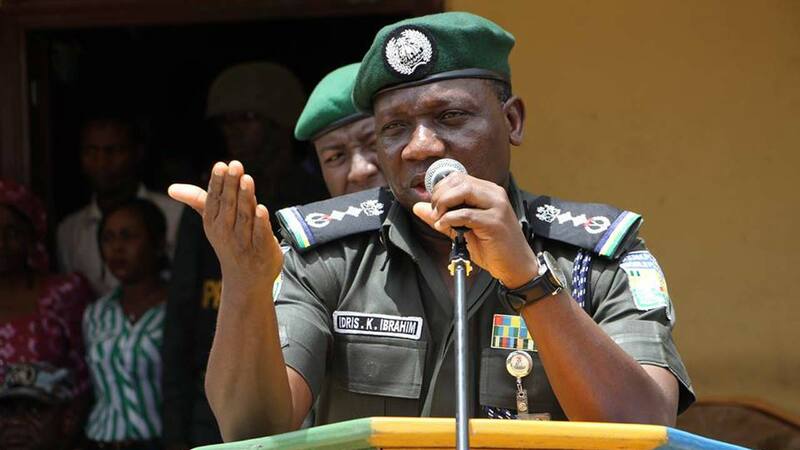 Inspector General of Police (IGP), Mr. Ibrahim Idris, has rejected moves to subject future appointments of polices bosses to confirmation by the Senate. He argued that the legislative intervention would politicise the police force. He also opposed a proposal that could empower the Senate to remove an inspector general. The Senate Committee on Police Affairs, which processed the bill, also proposed the pruning of Deputy Inspectors General of Police (DIG) from seven to one. Idris however said the reduction would make the job of policing the country very difficult for the IGP. He told the lawmakers: “You can’t police a people without their consent. The provisions of the bill are in consonance with the contents of the Criminal Justice System. The confirmation and removal of the IGP by the Senate is not necessary. It will politicise the police force. It should be expunged from the bill. The IGPs tenure of five years should be maintained. In his own remarks, a former IGP and chairman of the PSC, Musiliu Smith, told the panel that rot in the police has worsened to disturbing levels and called for improved funding. He said: “We met the police when all the training schools were working. We met the police where you could not be promoted without writing an examination. We met the police where every policeman lived in the barracks. Criminals and hard drug bandits gave houses to some policemen. That needs to change. We should think of additional funding source for the police. Senate President Bukola Saraki explained that the bill was meant to establish a cordial relationship between the police and the people. Chairman of the Senate Committee on Police Affairs Tijjani Kaura lauded the bill, noting that it “seeks to reposition the police force to serve the people better.” He commended President Muhammadu Buhari for increasing the salaries of police officers, expressing optimism that with an enabling law, the force would be better positioned. Stakeholders at the hearing included representatives of the Attorney General of the Federation, Nigeria Prisons Service, Nigeria Security and Civil Defence Corps, Nigeria Customs Service and traditional rulers. In another development, a Yaba Magistrate’s Court in Lagos yesterday sentenced a 47-year-old man, Augustine Opone, to seven years imprisonment for impersonating a Superintendent of Police (SP) serving at Federal SARS Force. The accused person, who resides in the Iju area of Lagos, was convicted after he pleaded guilty to a five-count charge of conspiracy, forgery, impersonation and breach of peace. Chief Magistrate Peter Ojo sentenced Opone to three years imprisonment on counts one to three, and seven years imprisonment on count five, with no option of fine. Ojo however gave the convict a N15,000 option of fine or two years imprisonment on count four. He ruled that the sentence would run concurrently, starting from November 27, which was the date of his arrest. The prosecutor, ASP Roman Unuigbe, earlier told the court that Opone had been using a fake police identification card to extort money from unsuspecting people.